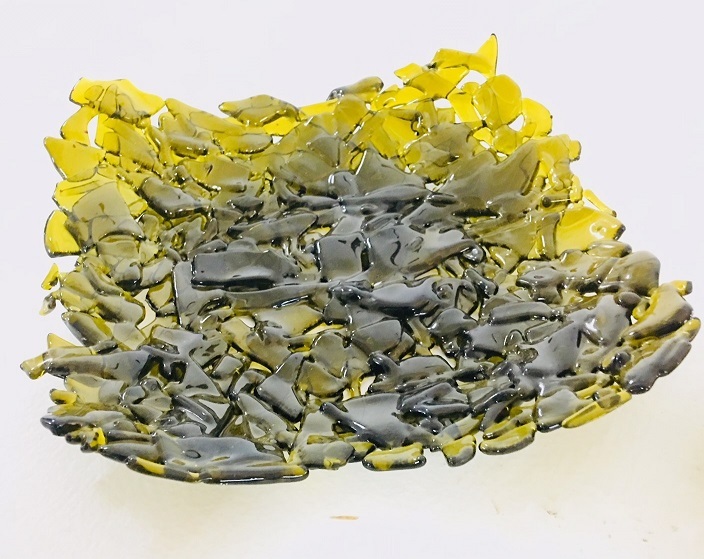 As a way to make every day Earth Day – Erwin Timmers “Going Green” class works at reducing the amount of glass in the waste stream by upcycling – using recycled glass to make sculptural pieces and architectural elements. The class eagerly explored ways to give new life to old glass – from bottles to recycled tempered float glass. Glass chemistry, coloration, and firing temperatures were reviewed for each particular application. The class’ final workshop is next week, when dryplaster – bas relief – casting with float glass will be explored. 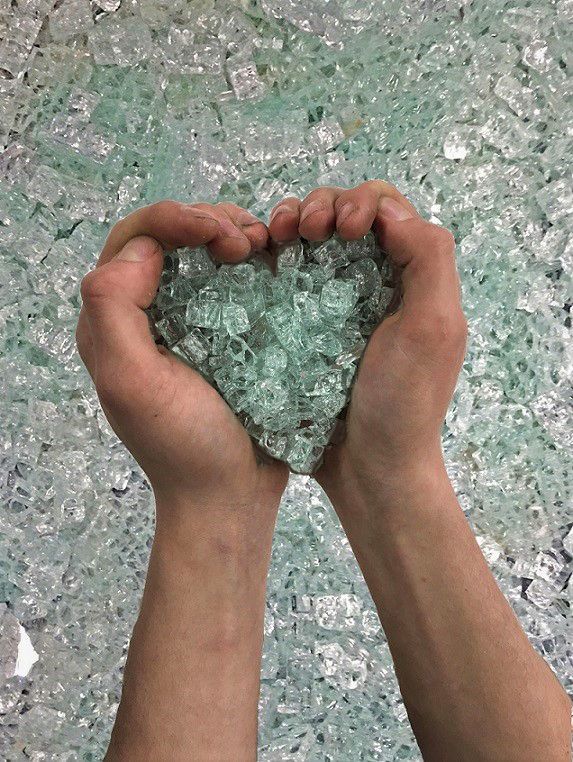 Recycled glass never looked so lovely! 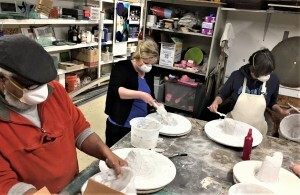 The eco students learn how to make hand built refractory molds for glass casting. This entry was posted in earth day, earthday, environmental art, fused float glass, going green, recycle glass, recycled float glass, recycled glass art by admin. Bookmark the permalink.